Bed bugs were first introduced into the Americas by the early colonists. Colonial writings of the early 18th century documented severe bed bug problems in the English colonies and in Canada, but not in Indian villages. 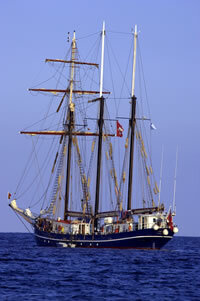 Old sailing ships were notoriously infested with bed bugs, some so much so that some ships forbade passengers and colonists from bringing bedding on board. During the early 20th century, it was a rare American indeed who had never been bitten or at least seen a bed bug. Bed bugs were rated among the top three pests in and around structures. Then a surprising thing happened. The bed bugs disappeared; at least in developed countries. By the 1950’s, American entomologists (insect specialists) were hard put to find live bed bugs for laboratory work. What happened? Bed bugs had finally met their match. 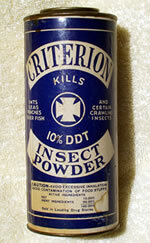 DDT would be sprayed or dusted on and around the bed, and control would last for a year or more. Although, DDT resistance appeared within a few years, control remained effective with the other chlorinated hydrocarbons, particularly lindane, and eventually the organophosphate insecticide malathion. By the middle 1950’s, bed bugs had changed from a major household pest to an occasional pest in socially depressed settings or other unusual circumstances. A rare bed bug problem might show up in shelters, prisons, youth hostels, or cabins but almost never in homes or hotels. Today, bed bugs are making a comeback...big time. In the mid to late 90’s, bed bugs began appearing more and more in hotels and motels, even premium ones, and in apartments, single-family homes, nursing homes, and hospitals. Lately, bed bugs have become national news, with media exposés on bed bug attacks in five star hotels. There has been a clear and major resurgence of bed bugs throughout much of the world. The increase has been documented for the United States, Canada, Australia, parts of Europe, and parts of Africa. Why Have Bed Bugs Made a Comeback? People commonly travel to and from all parts of the world, including areas where bed bugs are common. Business and leisure travelers regularly travel between all the continents. Developed countries are increasingly multicultural, with residents moving back and forth from their homelands. In many cities there are large populations of illegal aliens or temporary workers that are constantly shifting in and out of group residences, mostly in low-income apartments. It is not unusual in Washington DC, for example, to find a dozen people or more living in a 3-bedroom apartment, with the mix of people constantly changing as jobs change and as people return to their home country or move onto another city. Such residences can become heavily infested with bed bugs (if your legal status is questionable, you are not likely to contact property management about a bed bug problem) and act as a focus for other bed bug infestations in the building. Shabby-chic is in: thrift shops have become more popular as have antique markets, flea markets (bed bug markets? ), garage sales, etc., all of which increase bed bug risk. Perhaps because of the repellency of some insecticides being used today, bed bugs seem to be moving more, going from room to room, even becoming active during the day. Until recently, most people under 50 had never seen a bed bug. DDT is long gone, as are the other chlorinated hydrocarbon insecticides. Modern insecticides are proving to be somewhat ineffective against bed bugs. We may be facing some level of insecticide resistance. Technicians no longer regularly spray baseboards or apply insecticide barriers around beds and furniture or otherwise spot-treat inside apartments, hotels, and similar sites. 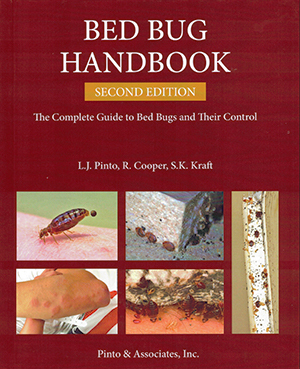 Such monthly or quarterly treatments, even when made for pests such as cockroaches, would also control new infestations of bed bugs. Today, insecticide baits are the most common substitute for traditional sprays. But baits are specific for certain pests such as cockroaches and ants, and there are no baits for blood-feeding insects like bed bugs.